When the majority of a tooth's exterior has been damaged, a ceramic crown is a great solution for restoring tooth function in a beautiful and discreet manner. 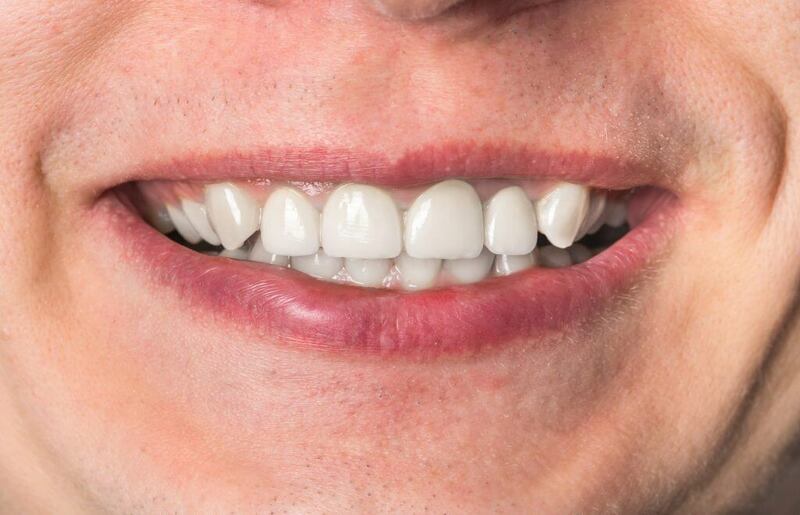 Whether caused by long term enamel erosion, traumatic damage, or habitual teeth grinding, when your tooth is impacted all the way to the gum, ceramic crowns can repair the damage and restore a more beautiful smile than before. 1 Restore the beauty of your smile. 2 Return proper function to your teeth. 3 Improve the appearance of the tooth. 4 Blend with your smile as they are custom created. 5 Enjoy no changes in your teeth regimen because they are maintained the same way as normal teeth. We will apply a local anesthetic to the tooth and surrounding tissues to ensure your overall comfort during the procedure. As we are working around your tooth and gums, we want to prevent any discomfort from the use of our tools. Since ceramic crowns are custom created in a lab, we have to provide accurate impressions of your mandibular and maxillary arches to guarantee your crown will fit properly with your smile. We will also take impressions of your lower and upper dental arches which will be used to create a stone model of your teeth to be sent to the lab as reference as well. At this point, we will also determine the proper shade of ceramic to blend with your original teeth invisibly. A ceramic crown is essentially replacing the exterior of your tooth. Inside the crown, there is a hollow space for your original tooth's core to be slid inside snugly. To ensure the crown can fit properly, we make sure the remaining tooth is idealized to fit perfectly inside the crown, leaving no room for bacteria to slip in. During this step, we will control excessive moisture and debris for your maximized comfort. At this stage, we will take an impression of your prepared tooth to guarantee the ceramic crown will not be ill fitting. This final impression can be a little time consuming as the impression tray with polyvinyl siloxane has to remain in your mouth for five minutes, but this level of attention to detail is necessary to ensure a perfect fit. Since your ceramic crown is custom crafted, a temporary crown is necessary for aesthetic and practical reasons. Although it will not look as flawless as the final product, this temporary option crafted from resin will be shaped and colored to fit with your current smile. Not only does the tooth make your smile look appealing in the meantime, it also offers protection to your tooth's core. In preparation for the final crown, we have had to remove some of your original tooth so protecting the remaining tooth is vital. Once your custom ceramic crown has returned, we will begin the implementation process. Your comfort will be established using local anesthetic first. Once numb, the temporary crown will be removed and the new one will be slid on. At this point, we will check to make sure your crown not only fits on the tooth, but also works harmoniously with the surrounding teeth. 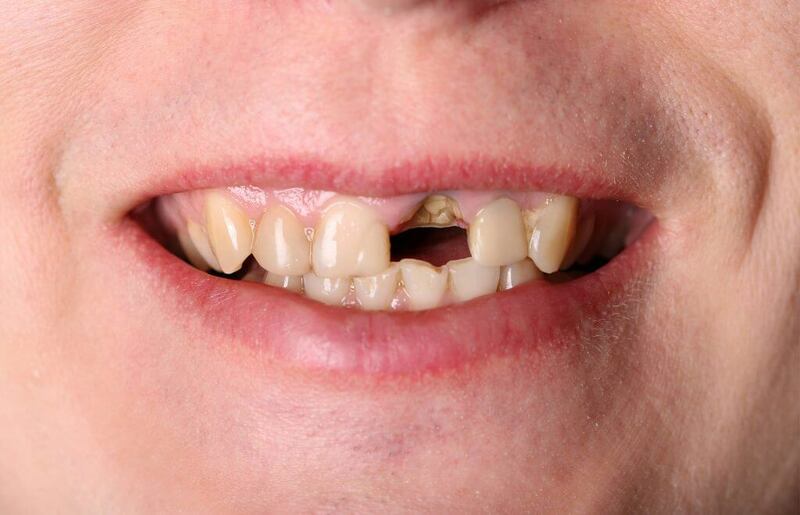 Your smile should be beautiful, comfortable, and functional so we will be careful to get the perfect fit. Also the perfect fit will allow for proper flossing without leaving too much room for food particles to be trapped. A strong bond is necessary to make sure that the crown will function appropriately and look nice among your other teeth. We will secure the tooth with a cement and bonding material. After adhered, the crown will be set using a curing light. After checking to make sure the crown has dried properly and your bite is not impacted, your crown will be complete. A crown can be maintained with regular dental hygiene. If you are interested in learning more about ceramic crowns, schedule a consultation to discuss the best restorative dental solution for restoring your tooth function, improving your oral health, and maximizing your appearance.